See How A Worldwide Hit Gets Mixed! Luca is Major Lazer’s “Finisher” and helps Diplo and his team combine multiple sessions into one sonic masterpiece. BONUS: The artist and their label were gracious enough to allow pureMixers the chance to try their hand at mixing a portion of the song using the same raw multitrack stems Luca mixed. Luca Pretolesi here in Las Vegas, at Studio DMI. That's the place, that is the place where I mix every single day. Today we have something special, it's Major Lazer, it's a project that's here in my heart, I'm involved with for many years, over five years, many albums, singles, remixes. 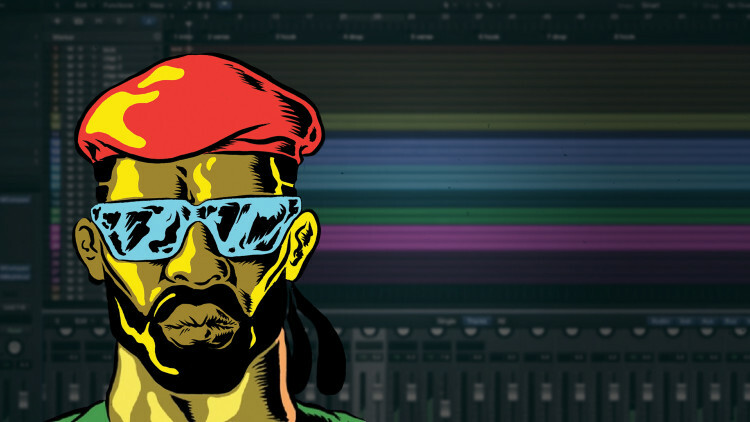 What really makes special Major Lazer it's a collective of producers and artists, and singers and my role on the project is I'm the finisher, I'm involved in the early stage of the record, I'm collecting stems and I do a final mix and master of the record. Today we are covering one song, it's called "Light It Up", that was part of "Peace is the Mission", big album, with "Lean On" and other big records, came out two years ago at this point but still really relevant. This song is being produced and mixed in some way during the production but there's always room to improve it, and make it cohesive, and make it glued together, and today that's what I'm gonna do again, I'm gonna glue this song together again. Alright guys, let's listen the rough first. There are a few important elements for me that I need to address, even before I go on specific parts of the mix, and I wanna make sure that's been addressed again from the stereo bus approach, I wanna have a very tight, centered low-end with a kick and bass really sit in the center. I wanna make sure that the vocal is not suffocated by the rest ok, if it makes sense. At the same time the bass has a movement when it goes in the lower part, it starts to compete, it starts to just go against the kick, so I wanna make sure that I keep a good control of kick'n'bass relationship but the main thing is I need to feature the main part with the trumpet, and I have in mind some ideas as far as coloring that part, in some way unglue the trumpet but glue the rest. Also I wanna have a mid-range compression going on, I wanna set up this from the real beginning. To me an important element to set up a loud master later on, is to have a very balanced mix when at the crest factor is really under control I have like the average level kind of high, so in the mid-range, the 1k, 5k, 4k to me is the part I want to bring in front of the speakers, and if I do this from the real beginning I'm gonna find myself fight later less on getting the mid-range come up in front so I'm gonna use my techniques to do that. At the same time I wanna leave space and headroom, to have the extreme-low and the extreme-high move but retain the mid-range in the front, if it makes sense. This song is made by 28 stems in Logic, assigned to different busses, in-the-box, and then from there spread through the console; all the drums is handled by the 2-Bus+, and the bass as well this time, the rest, the synth I use some old hardware gear for some parts, main lead of the song through the Ramsa console, next to me on the right and then a lot of elements are going through a stereo bus process that I'm going to go over with you guys in a bit. In Logic essentially, stems to internal bussing of Logic, from Logic to the Convert-8 which is the D/A that I choose, from the D/A to the 2-Bus+. Between the Convert-8 and the 2-Bus+ everything goes in the patch-bay, from the patch-bay I can choose where to go. I have my go-to, in this case Neotek for the kick drums for sure, the Ramsa console for the trumpet and the guitar and I have also inserts on the entire 2-Bus+ for the drum and bass with an old broadcasting compressor called 1202 that I love so much. This is a 2016 EDM approach of again, a lot of people starting to get the best possible sound built in the actual song so if I'm a producer in Jamaica and my job is to vocal produce the actual vocal for my singer I try to maximize my using and try to just give the tone that I want, the personality that I want, EQ-wise and compression-wise, and etcetera. So in each one, somebody's doing the synths, in another country, is doing the same, so for me as a finisher/mixer, is to take the best and the initial vision and amplify that vision, and just make it as a record. And I try to, with respect to the song, to add my personality and my input. The actual zero level, besides a few changes that I'm doing on this song, it's a starting point for me. My starting point ten years ago was faders down coming up now my starting point is zero, and from there make adjustments, that's very important. To start my mix for a track that has been prep'd in a proper way, even leveling and everything, is going over again, one more time, to make sure that level-wise there's something that I might address before I touch my stereo bus processing. If I don't do that I risk to go make some EQ decisions just because something was too loud or too low, I wanna go over and make sure that level-wise everything feels ok, from the real beginning. So I play two parts of the track and jump between the drop and the verse, really quick, I wanna find something that just hit me in the wrong way and just fix it level-wise. Those synths are super loud. 2dB sometimes save you hours later, I find also on the verse some percussions are a little bit distracting. Fine, just wanna check some elements on the second part of the hook. Since my compression in the mid-range is going to affect everything I wanna make sure that I've the best possible leveling before I go into compression. I was a little concerned about the relationship between the main lead vocal and the background vocal so now I'm checking, making sure that I have like more an organic thinner approach between those two parts. Just some minor things that really help to make my life easier going into the next phase which is, again, the approach of the stereo bus on the entire song. Like I mentioned earlier, my point is to make sure this song, from the real beginning, has some air on the top but not too harsh, but mainly I'd like mid-range to come right in front of me a little bit, I wanna have a little bit of movement, a little bit of like groove on the low-end, without getting too bloomy, just give a little bit of personality. This allows me to do less on the annoying part that you risk to deal with which is a million EQ doing, trying to do the same thing, when I can do one-time only and just give the right shape, less phasing, less problems, less CPU usage as well. Plugin-wise as you can see this session is pretty much empty at the beginning but it's pretty common right now to deal with stem that have been pre-processed, and especially because it's not even mixing, it's sound designing and writing with a sound that inspires you to make a good song, I wanna respect that. Again, my job it's like a borderline co-producer, mixer, mastering guy so my brain works in a different way. Technically, one thing that I am on looking is to make sure that there's no damage on the actual stem when is a stereo stem. If it's a stereo stem there's a synth plus reverb plus distortion, I wanna make sure that it's clean so I am able to add my extra work, I wanna make sure that I have headroom on those stems, so if this comes to place in the right way then I am able to do my job. When I have my mix properly balanced, ready to be treated as far as the stereo part, my next step is actually compression. I wanna my compressor to be extremely transparent, and what it does, it enhances the mid-range to give a tiny bit of movement, but mostly to bring it in front of me a little bit. My techniques are very simple: I use a Dangerous Compressor, and I use a BAX EQ dedicated to the external side-chain. I love the internal side-chain but I wanna be able to not touch the top, not touch the low, just touch the mid-range so I use a filter and a shelf to smooth the top, and I do the same on the bottom, and I just concentrate everything on the mid-range. And then I'm going to make a decision as far as the vibe of the song, usually a 108 BPM song like this allows me to have the song to breath a little bit more, compression-wise, so I can get a little bit more aggressive; if I've 128 BPM song then I have less room for that. My first step is, before even going into compression, to get the space that I want to compress. So on the Dangerous Compressor first things I do I activate my external side-chain, and I wanna monitor my side-chain so that I really listen what I'm going to compress. The BAX EQ is hard-wired to the Compressor in this case, let's check it out. Brutally I completely high-pass and low-pass, and then I need more so I'm going to enhance the mid-range, I wanna shave the 300 down, and then as soon as I set up my EQ, it's gonna be temporary, so I'm going to start to compress, and then I might gonna tweak a little bit, just to find the sweet spot as far as the compression. I wanna have some needle moving, I wanna decide my ratio, and maybe go back but that's my starting point. Now I'm gonna deactivate my monitor so I'm gonna actually listen to the Compressor working with the detector that is getting what the BAX EQ is filtering. My starting point is 2:1, and I might gonna end up to have a little bit smooth, like 1.7:1 but I start with 2:1 and I'm gonna exaggerate on purpose, I wanna do maybe 4 or 5dB or 7dB just to get the right vibe. Most of the time I stay on manual attack and release mode, just because I want to shape the groove that I want, and then after that I'm gonna find my sweet spot as far as the level of compression that I want and go into EQing. Let's do it. If you focus on the trumpet relationship trumpet, synth and bass, and think about the 1k that we push here you gonna feel that it's coming right in front of the speakers, a little bit more. Let's check it with and without. Sometimes I go ratio 1.4:1 even and I do a little bit more of compression and it's good as well, what I'm looking is organically to bring the mid-range a little bit in front of me with all those elements and the transient happening in the mid-range, especially the trumpet. So it's not an EQ decision, it's just a compression decision. I wanna just bring that in front, without touching the low and the top. I want you to focus on this extreme low-end, when the bass is moving on the lower parts, that's the part the side-chain really is gonna be really beneficial. What I'm looking is to make sure that when it goes in the lower part is not gonna trigger my compressor and just pull the volume down ok, has to be consistent. Let's check it with and without. What I feel is there's a big dipping on the low-end, the 100, so the bass is taking the entire song and just pull it down. It's important to have a side-chain that allows you to re-shape the way the compressor behaves for you. Part of my process on the stereo bus is EQing. Another question is: why you want to EQ after compression? Because I don't want to change the balance of my compression, I want to control the detector, meaning where it's going to compress but I don't want to EQ into a compressor on the stereo bus. I wanna shape what I'm listening after compression so, I used the Bettermaker for a few years, for this purpose. Why I do that? Because it allows me to have different EQing in one piece essentially, I have the Pultec side, I have a very clean side. My approach initially is with the Pultec side, to give some very smooth shape where I want if I feel that needs the top and the bottom. If I want to address the mid-range I go on EQ1 and EQ2 which it's more surgical and I keep some parts on the mid-range. I feel as now, I am kind of happy about the mid-range because the compressor, the way it's breathing, comes in the front, I just wanna give a little bit of shape on the top, a little bit of air on the top, and a little bit of bump on the bottom, without being too boomy. The Bettermaker EQ232P is not a plugin, it's a great analog EQ that has a plugin for the purpose of automation, control, saves settings and recalls the actual hardware which it's pretty amazing. Another interesting part is that it's a real stereo EQ but also works on mid-side so very versatile. Usually on the stereo bus approach I try to stay away from mid-side EQing from the real beginning, I don't wanna change the nature of the track and reverb, placement and everything, it's just on the stereo mode. I might gonna end up towards the end of the mix to do tiny corrections then I'm gonna go on mid-side mode. Let's start as a stereo. So for me to get the low-end right I know it sounds painful but I like to loop the worst part and just focus on that. I'm looking at a high-pass filter, a little bit of low-end. So I am able to open a little bit of the 100 and keep under control the 30 and down. If you bypass the high-pass filter you're gonna feel an extension of tail, of decay, of the combination of kick and bass that takes a lot of space without a purpose. I'm not having any transient in movement, it just takes a lot of headroom for no reason. Let me play a few bars with and without the filter now that I've the low-end set up on the Pultec side. In some way I feel that I'm losing a little bit of the transient, and I get a little bit out of control. It's very subtle but it's very important for me. The approach on the top is smooth so I'm not looking to re-shape the top-end, I'm looking to open a little bit of air that is gonna be a very big deal when I go into plugin EQs, I just want open air, reach the top-end that I like, and then in-the-box, doing more mid-range stuff, more technical, more surgical. Alright, let's do it. I try to stay away from looking at the screen too much and I try to really go by feeling and that's why I like to work on the Bettermaker with my hands. Kind of like that 8K with like.. really broad band so that I feel it gives some air without giving spikes. Let's listen to two bars with EQ and compression and two bars with nothing. Pretty obvious to me that the initial idea has started to take shape, and come to life. So bring the mid-range in the front, shape a little bit of top, a little bit of air, tighten a little bit the low-end, without changing the nature of the low-end but tighten it up a little bit and start the mix, we kind of like the final destination right like closer to us. That's gonna be my sound, everything is gonna translate through that. This means that the compressor is gonna do its job, the drums, even the drums processing we are about to do right now, they're gonna benefit from what we just did on the stereo bus. Drums is played in few busses: kick, low percussion, high percussion. What is for me low percussion and high percussion, that's very important. Frequency-wise it's about 1k down, 1k up. So, clap, rim, snares, toms, everything is low percussion. Ride, any cymbal, crash, anything happening, tambourines, those are high percussions. I like to split those on two busses, in-the-box, and then from there, on the 2-Bus+. So my first approach is going on the analog side and shape the way I want color-wise in this case, I'm gonna use the Parallel Limiter, then go back to the box, and on Logic do some surgical approach of separation, spreading and anything I wanna do again, based on what I'm hearing, from the 2-Bus+. So that's my approach, there's no right or wrong I can just do in-the-box first and then color later, I like to do it in this way first. For this song I decide to route the bass with the drums. Sometimes in different songs, I keep it separated, but I felt the benefit of kind like glue the bass with the kick and I kind of like what the 2-Bus+ is doing, especially with the insert, to kind of like glue together kick and bass. So I'm gonna play just the drums and the bass, first to get an overall like compression on my drums and bass plus the compression EQ we're having on the stereo bus. For doing this I use a very old compressor which is a broadcasting compressor from I think the late, mid-late 80s, the 1202 that has a very slow everything, slow attack, medium-slow release, but what I really like it's the tone in the color and what I'm going for is in some way I'm gonna go little hard in the input, and just do maybe a 2dB of compression and what I'm gonna feel is gonna be this kind of like lifting on all the parts that sit before and after the kick, before and after the snare, before and after the percussion. It's almost like a massage of the entire drums. I like to go for slow attack, medium-fast release, I don't wanna kill the transient, I just wanna lift a little bit. 5dB compression, it has a tone, the transformer has a really thick tone, so let's go before and after. With the same concept of dealing with the analog side first, go back in the box, I go in the kick drum. Now, what's gonna happen? The kick drum is translating from this drum compression, the stereo bus compression and the EQ, on the stereo bus. So everything starts to make sense. So what I'm looking for the kick is give a tiny bit of the kick the top-kick, the attack, a tiny bit more of that, and try to give a little bit of mid-range, I want the kick to have a little bit of mid-range, because we're getting thicker from the compression but I want just get a little bit of mid-range. What is gonna help me to do is to go back on my DAW and pull down maybe like a dB less on the kick so I can get more headroom on the entire mix with the right tone, and be able to re-shape the kick just a tiny bit. Great, what I did essentially is a little bit of 10k, a little bit of 80, weird I thought it was pushing more on 300, 500 but just like the tone was just grabbing, this 80 was really good, pull down a little bit of the 20 but the 20 is very shelved 50, 60 down to 20, a few dB of that. Now I wanna try to mono the kick that's something special about the 2-Bus+ to me. The real mono after you spent years to make mono in-the-box, in order to do something more organic as far as putting left and right like this in the hardware domain. So what's gonna happen? It's gonna go up about 3dB so I'm gonna try mono and then just go back into Logic and pull down a few dBs to kind of match it. The little re-shape really works so I wanna go back and listen to everything together, I don't wanna get stuck to solo too much because then I lose perception where the song is going and what eventually you're gonna hear is the actual song, you're not gonna hear just the kick in solo when you go on YouTube, alright? Check it out! Now what happened? I feel too much compression because the kick is punchier, is bigger so I wanna just go and step down a little bit on my compressor on the drums. I love the tone of this compressor, everything gets thicker and and the relationship between the kick and the compressor is very effective to me. So let's listen with and without the EQ on the kick drum. Obviously what I feel is a little bit of top and that was I was looking for, a little bit of top, the shape of the kick sits better with the rest of the drums. I have my drums right and I have my kick right, now I wanna approach my low percussion and high percussion. So when I go on the range-mid, on the more dense part of this mix where a lot of instruments play at the same time. I am looking for not separation, I'm not looking to go and do individual EQ and compression anything like that in Logic, I'm looking for tone and placement from the analog side. So is more working with Parallel Limiter on the high percussion, on the low percussion, we'll find out and then go back on Logic and adjust the level, ok? So let's solo drums. In this case I wanna mute the bass, I just wanna focus on the low percussion first. Love it! So what I'd like to do is go in Logic, on my bus, just give a little bit of headroom, lower a little bit my low percussions from Logic and just push a little bit the Paralimiter from the 2-Bus. Now I'm bringing some side information up, the low-level information is coming up, I'm not worried about that, we're gonna do a little bit of expansion in-the-box to kind of control what happens on the side, and let all those nice transients have this amazing compression, in parallel, and apply some plugins on the low percussion stems. I'm not looking for low-end because I'm bringing a lot of low-level information I have from the Parallel Limiter so when I do some expansion, I'm controlling my transient on the lows, 120 and down. Exactly here. So again, think about it like as the Parallel Limiter and the plugin are one thing. So I'm controlling, I'm expanding and then I'm compressing. What happens is when doing this way I'm able to find the right ratio between excitement on the transients and control of the side information. And all these tails happening on the mid-range can get really cloudy on the mix Same thing on the top so 2k and up. This is very confusing for me so I wanna reduce the sustain. Let's play with and without, Alloy 2. I like it but I think I took too much off from the mid-range so let's give it back a little bit. Now the Alloy 2 has an amazing, terrible limiter. When I say amazing terrible it means is not good for anything besides low percussion. Let's do a little faster. With and without Parallel Limiter and Alloy combined, ok? I'm gonna do "Boom" at the same time. I'll repeat multiple times, I wanna make sure that you guys feel the difference. So now we retain the shape, we are not doing any alteration about the relationship between tail, transient, side, everything is still there but there's this organic, thicker, open sound. There's certain ideas that I have as far as side and placement I'm gonna do now but first there was like for me the initial approach of this. Step 2, I wanna replace side-wise the top-end, I wanna bring the top-end and open the top, not everything, imagine a tree, so the side of this is the tree is very stable and then opens the top and closes it again. We don't wanna have too much side information on the extreme top, because 10k and up, the little tweeter is not able to translate well the side for me, but I wanna have sides on the right part which is the 3k-4k and get some excitement on the side, and then get a tighter low-end and then there's gonna be low percussion. I love to use the old Ozone 5 and people say: "But why don't you use Ozone 7, it's much better, it's new!" The Ozone 7 is missing one important element which is Band Delay. So I can literally take Band 4 and put that band late over the other bands, ok. So let's focus on the side-information on this. Let's blend with the rest. So there's some excitement on the top. We're gonna use two stages of Imager and I'll show you why. I wanna make sure that I don't have any side-information on the low-end, absolutely. As the tree we mentioned, we open a little bit the big belly of this, sides a little bit we open on the top and we're gonna close after this. Unfortunately I don't have another band that I can close the sides so usually what I do, I take an EQ, I work on mid-side. I'm gonna use a high-shelf and I like the high-shelf better than a low-pass filter because I wanna reduce energy, I'm not gonna cut completely. I'm gonna do a 72 dB. Ok, let's bypass just the plugin side on what we did as fas as the side information. I'm building this song mixing-wise from the main priority first, and then I go on little details, later. As far as the high-percussion, the song is very simple, has an high-hat, has a crash. I wanna make sure that it sits right so, low percussion is gonna win as far as placement, drum placement, the high percussion is gonna sit around the low percussion, and that's my point. It's not a track where I wanna have the high percussion to be in front of you, I want the high percussion to come sitting around the main element of the mix. High percussion is made by an high-hat and a crash, very simple. I just wanna make sure that is grooving enough with the low percussion, so first level-wise. I feel totally comfortable pushing 4dB, and have the high-hat working great with the low percussion. I hear like a horrible ringing on the crash that I need to address right away if not it's gonna drive me crazy, and there's like these 5k or something that really pierced my ear. Sometimes when there is urgency to fix something in order to feel good, and for a proper mix something that's important to do it, that's the case, there is like a weird side stuff happening there, I wanna kind of like to address right away, feel..
turn it completely off, and then say "well, great, but now it loses a little of energy". - Not a problem, I wanna just give back some air, very simple, 2k. Since the high percussion part is very very simple, I don't wanna find myself to add additional layers or reinvent the percussion, I just wanna give a little more of excitement on the high-hat. I like to use the very inexpensive but great plugin for that the StereoSavage, what it does, I use to do like one thing only as the LFO you can sync, let's do like 16th note, and then do a rotation because essentially you're not fooling left and right panning, but then you can eventually have a little bit of this movement so retain the center and just do this, a little bit. Let's try 1 note 1/8, Definitely 1/16. It's moving around, now let's open the top. So what I like a lot about the Curve Bender is 10k So sweet. And with the rest of the drums. Alright, I think I like it. Let's jump around the track and make sure that everything feels alright as far as low percussion and high percussion, and then I start to do some placement of individual parts, especially some claps that to me are a little bit too centered. I wanna give some personality and lead role on the low percussion, on really what it makes I think Major Lazer unique, which is this extreme approach on certain sounds rhythmically, especially when..
in all Major Lazer songs we have this snaps coming to your face, you have these extremely wide parts, we took risks, I wanna do the same on this track where there's one element just coming out of the box, like "Wow, I didn't expect that!" So the Clap 2 I think it's the one that gets rid of the grooves, so let's mute this, the track just collapses. Let's duplicate this clap and let's treat one to stay in the center so we don't lose the center at all, and then the second one with Parallel, just to give some extreme type of approach and movement, a little bit of saturation on the side, and just have this groove and relationship between center, really like one place, steady and side with movement, alright? Let's try that. So I wanna approach these two claps in two different ways Clap 1 is gonna be side-only on the mid-range, and try to shave side on the bottom and the top, we're not using filtering, I don't wanna use high-pass/ low-pass, I just wanna take energy away on the side on the top and the bottom. Clap 2..B, the side one is gonna go crazy, just jumping around on the side a lot. So when you go mono, you don't lose completely the clap which is an important element, but then we listen in stereo you're pleasantly surprised by this side that just floats around and moves around the mix. I treat the 2 claps in a different way and then I am gonna create a little small Bus, just to grab those and do some final tuning as a one element so that those 2 claps become one. So we put those completely out of phase and that's what we liked, in this case because, again, it's just an effect the way they're sitting with the mono one. Now we wanna enhance this one and we do a tiny bit of reverb. The purpose of the reverb it's not the actual reverb, it's the pre-delay. Just blend the two and we're gonna work on Multi-band on this, let's create a new Bus, the new Bus feeds to the Low Percussion Bus which is the main bus for the low percussions, so we call this Crazy Claps, we make this going totally nuts. So I'd like to use the PRO MB for creative use, not for technical use. One cool thing the PRO MB has is that you can assign the side-chain in a Free Mode, essentially one band side-chain the other. Let's take the peak of the transient of the clap, first. Now, let's make this going totally crazy. Band number 2, it's gonna be like the mid-range. That's the fun part. So let's take..go on Free Mode..
Now let's take this area, which is all the main peaks of the transient to trigger this band. I kind of like, actually this.. go back to this. Let's do a crossover point that is going overlapping a tiny bit with the other band. Bounce around, play with the kick. Let's have the right relationship between Clap 1 and Clap 2, which is..let's call them Clap 2A and 2B. Just a little bit of parallel so we can get some dry signal coming through. And then still on the Crazy Clap Bus let's open air. There's only one peak that I wanna control right away, and I think we're fine, then. With the right side of the mouse you can close and open the band, which is pretty cool. I kind of like.. shape the way I want it, and I take what I don't like and just pull it down. Now that I've processed my clap, my Lead Clap, on the low percussion I just wanna go and check the initial phase on the actual rough, how was the first intention, and see if we're going on the right direction, again my idea was to feature that clap, I wanna people just clap hands and be on the dance floor, and just feel it. It's a percussive element, especially on the hook when all the energy is dropped, we don't have the percussive element. Why don't we wanna bring such a main element right in front of the mix instead of keeping it in the back? We talk about this clap. Totally fine to leave something right in the center since we're spreading so much, I just wanna have a tiny bit more bite, if it makes sense. Check it out now with an open..
the high percussion relationship with low percussion is pretty good. There's a moment overlapping of claps and toms. My goal when I have something that is so close I want it to sound like there's a drum-kit in front of us and the guy is playing at the same time snare and tom, I don't wanna feel totally detached. So I kind of like the idea even in certain cases, to do like this: just grab those two, the clap and the tom, and create a little bit of glue between the two, go back to the Low Percussion Bus, and marry those parts.. clap and tom. I love to use what I call vintage plugins. The vintage plugins.. there's Renaissance Axx that looks not really pretty but sounds extremely well. And also there's RVox which is a very old Waves plugin for vocal that I love using on drums. So what about if we put those in series, one after the other one? The tone is super, super cool, it has like..
it's almost like in your face mid-range, just need to shave a little bit the top. Alright, let's play them together. The two plugins I see them working as a one plugin, so if we solo just this, brings everything up front and just kind of like gets snappier. Now if we add RVox..
Say: "Hey wait, relax, don't snap too much!" Bring the body up and that's what it does the combination of the two. Now for my taste, it gets a little out of control on the top. And again, rarely we're gonna listen clap and tom solo ever on a commercial record, but then the combination with the rest of the song I think it makes the difference, let's check. That's the way to bring those elements back into the mix, give a purpose, sit in a certain place. I wanna go over on the rest of the percussion. So I wanna find a space for the thin snare that makes sense, it's getting completely lost in the mix. So I wanna enhance a little bit the transients, eq the mid-range, just get a little bit of tone, and then make sure that they sit on the mix right. Ok, what I just did, I essentially enhanced broadband everywhere the attack, the transient the yellow part you see on those transients has been enhanced, so, it's expansion..
Now, I use a limiter to kind of like give some sustain that I can't probably use the same techniques with the sustain but it's gonna affect the limiter the limiter has a sound, for some reason. So, it's cutting through the mix with the drums, the drums is really dense with a lot going on, but I can't hear it. Let's see if it's necessary to add a little bit of mid-range EQ or we are good in this way. Now, I like the idea to add a tiny bit of mid-range EQ, Ok, let's see how it works. I like it a lot, it's just very loud, so what about if we clip? We can either use an old L2 or a very new StandardCLIP, for clean I like to use the StandardCLIP, we're going overrating so I'll put a ceiling on, and I'll leave to 0, and I do Hard Clip. Crazy loud but not clipping, I am not going red, now I can pull down my level and find the sweet spot. Let's play with the rest of the song. Even with high percussion, even with the trumpet, I still feel it, so that's pretty good. Before, if I go back to the rough, I don't remember to actually hear that sound. We are re-addressing the bass placement a little bit because it's glued with the kick, with the 2-Bus+, with the Compressor, it's doing its job. My vision from the beginning is to have the bass very tight in the middle. But the bass has some elements on the side, on the top, on the higher octave, I believe. This bass is made by probably three or four synths combined, I just wanna make sure it's tight on the low-end, very simple techniques, I wanna use a PRO-MB to control right from the beginning these lower notes that tend to go a little bit crazy. I am gonna lose a little bit of body I know, but I can control it, and then with eq I can give back some tone, but without this jumping around, we have this jumping between higher notes and lower notes, so let's play the entire bar. I wanna make sure also that the top-end is not going out of control with too much transients on the top. So I wanna do slow/medium-slow attack and medium-slow release, I wanna avoid this cutting or jumping, and I wanna do Soft Knee, has to be really gentle, I wanna imagine that there's a fader that you have on that band, that frequency, and you pull the fader down. So let's do two bars, with and without multi-band. Again, it's very subtle, I want you to focus on the extreme low and extreme top. There's almost a resonance, like a boomy part on the low that is taking too much space. So I control those and I compromise a little bit of tone, but I can give some, that tone back so let's do a nice, old-school, good Pultec 100, just a tiny bit. Very nice. Let's open the 3k, just to give a little bit of air again. Let's check before and after the combination of the two. And once again, we need to think about it this is one, big plugin, they're not two, they work together, so they make sense because we're compressing, we're pushing a little bit the low-end, compressing, we're giving a little bit of top-end, so we give tone, we control dynamics. As you can notice, the low-end go totally out of control, so what about if we check now, with the entire drums? Almost feels that without Multi-band, and with the Pultec the bass is just moving and it's not tight enough. Now I wanna make sure that as far as the image, that I'm completely mono up to, probably 300, 400 just to make sure that there's no problem, no phasing, no fighting on the club subwoofer. It's always this really bad effects happening when you have a lot of stereo information, on the low-end. Maybe a little less, 400. And now because I made mono up everything up to 400 I wanna open even more the side after the 400, ok? So now we have a little bit more side information on the top, but it's very tight on the center. Now to give even more a sense of thickness on the mid-band, I just wanna do a little bit of this type of bump, on the lows. And maybe filter just a tiny bit. Again, for the same concept, take away some energy on extreme-low and just a little bump. Yeah, in this room there is a resonance when I hit the lower note that's a big red flag to me. So let's check the whole concept approach with the drums and see how it works. I create the foundation of this track stereo bus, drums, bass. That's the foundation. Now we need to approach synths. So the question is: synth high first or synth low first? What is the difference between synth low and synth high for me? How can I describe the difference? I call synth high everything that has like short, fast-attack transients, stabs, leads, guitars, everything that is like (makes a sound), like this, that to me is the high, I call high synth. The low synth has slow attack, pads, piano, strings, anything that is slow, and I divide those two colors. In this track absolutely the high synth, it needs to be the leader, and I wanna have the low synths - so the pads and everything that sits around - the lead. I wanna focus more on those three elements which is..there is a pluck, marimba effects and the second layer of the pluck, so let's check it out. Dope, pretty sounds and I feel that what I try to do is retaining the relationship between them, because they feel so well put together as far as levels. What I didn't, don't have is the transients ending like..
be able to almost feel that you play chords on a guitar, you enhance certain parts more than others, they're too even. They're like great level-wise, but dynamically they can be improved. So a good way to do it, even before we touch transients, is to give a placement as far as the stereo field, that is precise, that has a purpose. By the nature of the sound we really can tell where the..
has to be placed to me, it's mid-range, and it's top. Top side-open, mid-range centered. Let's do this first. So what we just did is essentially take the 3k and up, and just put completely on the side, open the 1k and up on the side, it makes entirely mono the 1k and down that's gonna be covered by the pluck, the more mid-range pluck that we just mentioned. You have a feeling of more high frequencies when I switch, but essentially is not more high frequencies, it's just like a placement on high frequencies in an area that is paced to listen. It's a sense of more like transients placement. As far as the other pluck I like the distortion which is another kind of signature sound of Major Lazer project where there's always some distortion, saturation on the pads that makes kind of more warm and unique, but at the same time I feel that it's going too low, and I wanna make sure there's not side information placed on the lows, so I wanna address this really quick, I can use any type of eq, I just wanna control with a shelf, so I'm not completely cutting. And then I kind of like the side-effects on the mid-range, but I don't wanna have less energy on the low-end. And then if you guys remember, we left the top for the second layer so I'm gonna make entirely mono on the top parts. In this case I can also use a cut. Ok, let's check it out, two bars on, two bars off. If you noticed, we got rid of the distortion that we had on the low-end because it was placed on the side on the pluck. So get rid of the side, get rid of the distortion. Let's play this part with the rest and just level those two elements with the rest of the song. I like it level-wise and I feel it starts to make sense. Now moving forward what I wanna do I wanna go on the low synths, and there's a main pluck that needs to sit around the top pluck, which is this. And this to me has to be thicker and nice, round lows, with almost nothing on the top so.. I don't really like a little bump that I see here, let's control this one. Let's give some color, this has already some distortion but it's not gonna hurt to give a little bit of color, especially in the 400 part down. Then let's blend like 50 50, wet and dry. What I'm doing right now essentially, is when I have the main element into the song done as far as priority, placement I work with the rest to just sit around and just build the color, I just put a little bit of red here, a little bit of orange, a little bit of brown, so I color the mix. One thing that makes really Major Lazer, like.. I'd say his signature sound or print, or how you wanna call it, is the fact that there's no traditional placement on the side information, in the mid-range. Even if you go on "Lean On" or other records, they all have this kind of sound where there's a lot of side information in the mid-range, but then effectively in the record is really impressive, especially if there's a contrast with a very tight low-end. So this open mid-range happening on the synths it doesn't really fight with other elements, besides the synths, so that gives you this like sense of really wide track, it's not really wide.. the track, it's wide in the right place, and the rest is really tight in the center. So this contrast between black and white gives you the sense of space. From now I am gonna mute literally those trumpets that happened on the drop, which is the main melody of the song, and I'm gonna just keep working on the synths, and make sure that I have all the synths sitting on the right place. I love this marimba, this high marimba that's..
the only job is to do the arpeggio. I wanna make sure the other parts have the same type of approach. But I wanna cut the arpeggio that happens towards the end, create a new track on my session, and just dedicate a treatment for this arpeggio. And keep those other parts with a different treatment. The arpeggio part has to be dreamy so I wanna add a tiny bit of reverb, work a little bit eq-wise to just place it and make it flow on that part a little bit better. And because there is a reverb, I'm gonna take it off from the stem. Let's talk about that because it's doable, I had to learn the lesson..
they ask me sometimes: "Can you send me the synth without reverb?" It was not doable, so I had to learn how to do it. I find a combination of two elements.. very effective. Tame a little bit of reverb, but it's under control, so I can just re-shape it later. After I do this, I am going to pull the side down a little bit, so I have even less reverb. I used a Brainworx EQ to control this side information, so I have the Mono Maker, very simple and allows me to go mono up to whatever I want, so let's go entirely mono. About 700 is fine so if we go before and after let's see what we have. Now we gonna put the reverb back, but the reverb that I want. So we're gonna have a little bit of tail, I'm totally fine to do an insert reverb, as long as I have a parallel approach where I can control dry and wet. I feel that pre-delay with a short decay it's a way to deal with reverb, in a way that they're not cloudy, they've a rhythmical approach instead of be like..going and just sit on top of everything you need to kind of have the actual transient cutting through. So let's check before and after. Takes a lot of space, let's play this with the other parts. See if we're going to the right place. Just do a send, and send a reverb, I like to start 31 to reverbs, bus back to the synth low, do a little trick that I like to do, which is very simple, get rid of the top, get rid of the lows, just on the reverb, and just get the mid-range, the pre-delay cool effects that we like, and we have the mid-range on the reverb that might work. So smooth the top, smooth the bottom, I kind of like the EMT 140, it has a nice tone to me. So we kind of like both the best of both worlds, so let's play with the rest. Now as a finisher role, there's something I'd like to do that's a borderline production but I think it's gonna make total sense, which is we like so much this pre-delay why we don't do an automation that essentially does this? Now let's enhance this with volume, if makes sense to compensate it in this way, I think it's gonna be probably good. Because we towards the end, we don't have reverb anymore from the Valhalla part I like to bring those elements up. Just going like before and after take back to reality the way the rough was playing. It's a good way to bring an element, give some organic approach, I don't feel it's pushed to be there, I feel it's meant to be there in some way. On the same part there is the piano bridge that kind of like feel the same way I felt about the marimba part, it's there but it's actually not doing nothing in a way that I want, I want that to touch my feelings, there's somebody playing piano in front of me, maybe some parallel compression, extension of the notes, maybe a tiny bit of saturation but something that I can visualize on stage. Let's check the stems first. It's actually a good sound, with filtering, there's a lot of processing going on, I feel this is not thick enough, I think we can solve the problem with one single plugin, if we do a little bit of saturation, and we use one of my new favorite which is the Zener Limiter, and then we do this little chain, let's find a part that's not filtering much. I wanna go on the Zener on mid-side mode, don't really touch much the side so I don't wanna distort the side information of the piano, so I don't wanna distort the reverb I wanna give a little bit of color on the mono, and just bring the level, match the level with the side. There's something happening on the top, would be nice to do a little bit of saturation, Clean Tube. Then we're gonna eq, there's a little bit of dirt, the way I call it, on the top that is happening, but we can deal with it later. One thing that I wanna point that's really important: mid-side processing unlinked, not limiting, just color, just saturation, and essentially color but doing nothing on the inputs, I'm not gonna distort the input, I'm not gonna clip the input or do anything, just output the levels to match, so let's check. Pretty drastic but I think it's gonna work because there's a place for this and again, I vision this like be big, in front of me, in your face. I feel that we're covering the 500-600 Hz in a really good way. And there was the piano on the bridge. Do you wanna play the entire bridge? Let's check it out. After we process and we in some way make the synth high and the synth low work together and just work with the song, it's time for the main lead of the song, the trumpet, that on purpose we left at the end, to just really sit on top of everything that we just did. So the trumpet..I like to use an external mixer for color purpose, specifically. And on the original mix we used the Rasma side-car that we have here next to the rack, and what I'm going to do essentially is use the magic mid-range on the Rasma with a little bit of saturation on the input. This fantastic Rasma from 1978, the model was the A20, "Smells Like Teen Spirit" from Nirvana has been mixed on this board, believe it or not. So usually I use four channels: two channels for organic elements.. guitars, trumpet, synths, lead and sometimes channel 1-2 for snare, claps or entire destroy, crazy saturation for other types of sound. So in this case let's run through our trumpet. First I'm gonna find the sweet-spot between input and output, I wanna clip a little bit, I wanna see the red flashing a little bit, and then I am gonna find the eq. The way the eq behaves on this mixer is really strange. When you in some way distort your input, your mid-range starts to go a little crazy, starts to get a little thicker, and just distorts again on the mid-range, in a weird way. I can't go too crazy because I can't kill the transient on the actual trumpet, but I wanna give this little bit of attitude. Essentially it's this: just a little bit of saturation overall on the input, a push in the mid-range about 3k, a little push on the 500, and then lower the output level to match in some way, but retain the tone. So let's play the rough against the mix just to get a sense of what we just did. I wanna make sure that I'm doing right as far as placement, so I wanna check what I'm doing on the side, what I'm doing on the mono part, I use a very simple bx meter that allows me in a very simple way to solo the side information on the rough in this case, and solo the side information on the entire mix, taken from the console. So essentially we're going back with an A/D, and post-conversion, so after we convert in real-time we are able to solo the side information, the entire mix on the analog, in real-time..ok So let's check between the two. My goal was to make sure there's no much side on the low-end information going on and just confusing, I wanna have a tight low-end, in the center. On the rough we have low-end on the side information. Mono, now the trumpet is really kind of like lost and low, and there's like a hole in the mid-range, so we're in the right place as far as the overall shape of the mix. There's this guitar that on purpose is route to the same bus on the Rasma, because on the previous mix it was really cool to have similar tone, similar placements, similar colors, for both stems, the trumpet and the guitar. Feels almost like an extension of the trumpet, with the same like dirt and..
and it's kind of cool that is glued in together with the trumpet so well. This happened because it's saturated together on the Rasma, they saturate and they glue together in a good way. As far as FX on this track, you want to talk about FX, let's talk about white noises and just like color effects, there are two simple stems, one..
EDM riser and there's like splash that's happened very simple, right? So I'm not gonna do much, I just wanna make sure the level is right. Actually there's something I wanna do on this big splash, which is a very old-school technique, with a sample delay of Logic, and it's gonna happen this..
One good effect, using sample delay on Logic or any other DAW, I delay the right channel or the left channel, and especially on any sound that has really a very short decay, you feel there's a little (sound) like this, like (sound), left and right, it's very simple, no feedback, it's not a delay, it's not an echo, it's just a simple right channel laid after left channel or vice versa. And there's another stem that has an effect. I don't wanna touch it in volume, I just wanna make sure there's no noise, nothing sitting on the stems. A touch of top-end on that. The Millennia is always to me between the Maag EQ4 and Millennia as far as the air-band or the top-end, the 4k, so smooth, these are shelf that I feel have like a console lift, where there's no like a big bump, it just opens the air in a really musical way. This track originally was a big session with a lot of layers of vocals but then it went through a lot of hands, and each one did his job and ended up having essentially three main lead vocal stems, a couple of background and a couple of samples, so some "hey", some "go" some other type of sample elements. As usual I start from the main lead vocal, There's a technique that's been used on this vocal - I know because I remember it when it was completely naked - that essentially has side-chained the reverb. The lead vocal, what it does, it's sent to a reverb and there's a compressor after the reverb side-chained to the lead vocal. When the lead vocal stops singing the reverb comes to the surface. When it sings again, pulls the reverb down. It's a very simple technique it's really effective. You can notice it on solo, because the reverb comes up as soon as it stops singing. I wanna do some very technical, simple things after the enhancement that we got from analog EQ and compressor; I feel we're getting some low-end in some other parts that are a little bit out of the right place, EQ-wise, so I wanna just fix this really quick. I usually like use Natural Phase on vocal, as long as it's not full of background vocal and reverb, in other cases, in that case I work Linear Phase to just make sure, but Natural Phase works pretty well. That's exactly what I do not want. Also I feel some tail, it creates a little bit too much weight on the low-end so.. There was like a ringing, literally, especially in one part, here. There's a little bit of ringing that we get rid of it this way. I don't wanna add additional compression, if not I am gonna bring up again what we just took. What I wanna do I just wanna open some air because this part that we're dipping down it's fine but takes away a little bit of air, so we do this to be a good.. if we think of it as a one plugin, we're doing this and then we open a little bit of, with the shelf. Now it's exaggerated, just to give you an idea. I feel it's more on a 8k part. Now because we do this, we can control this even more. I am gonna take some weight from the side information and I am gonna keep - this is what I did on left and right - I feel there's something going on here I don't like so let's check. There we go, there's more here. I wanna take some side information on the mid-range because what happened they probably had some compression going on after some reverb and it just feels to me not natural enough, so let's see the combination of the two. Now it's getting a little nasal, a little small, but we're gonna re-open this part, let's see how. There's almost like essing problems and a little bit of resonance, a little bit of ringing. The only thing I wanna do, I wanna do a Tilt, so after we have re-built in some way a good balance on the EQ, I just do a very simple Tilt, which is.. It's getting too loud so I pull it down. I'll play four bars if not we're gonna be hypnotized but one word. It feels now it's just more in front of us, Ironically, with additional processing feels less processed. The Millenia has this really thick and nice low-end it just sits really well on the vocal, after that a little bit of Tilt that just everything..
move on the top and pull down the lows, to re-balance the two parts. Let's play the first part of the verse, with and without the process. What I feel happening a lot was kind of like going up, she was here so, essentially, going higher, was getting really nasal, and there was some dirt on the bottom, I feel vocals now sound really more open. I am gonna jump between the hook, so the 3, and the verse is the 5. What it means is 3 and 5 is on my active transport so I can move it really quick. The Fuse vocal is missing some excitement, he has a very similar process as the female vocal so first I wanna make sure that level is right. There are too many element on the track vocally so I wanna create some something that when this vocal hits in the middle of the song, there's a sort of surprise. If it's so centered, as the other lead vocal, I feel there is no surprise. Let's give some excitement and a purpose on this. So I wanna try to push the top and compress the top. So what it really does, you take the tone on the top and so, like 5k or 6k, and then you put a multi-band, like a Pro-MB. You compress the same area so you're like compressing the top, the top is coming in front of you, and you enhance like the tone of the EQ, and then after we do that, we're gonna do a little bit of spreading, just give a little bit of stereo, feel of that part and see how it works. I know, exaggerated at the beginning, but there is a reason. Everything up so we do about 5k and up. Medium-fast release because I don't wanna have pumping and just jumping so soft knee.. So we're adding color from the Millennia on the 5k, and then we're compressing the same 5k range to just bring in the front, that's a technique I love using where you wanna bring like emotions from the vocal, you give a color and you bring that in front. There's a little bit of ringing, I wanna use another insert I can use the Dynamic EQ, other things but it's a spot I wanna deal with right away. Give some excitement as far as I place some stereo information and let's see how it works. For me a good way to do it, and really quick way it's duplicate what we just did. I can use an insert, a Bus but I think it's just faster to do that on the second EQ, the same where we just did the correction. Great. And then on the second one, focus on the mid-range only. If not we risk, again, to exaggerate on the top. Two options, first: I like to use always the same techniques on this thing. So pre-delay is working as a delay mixed with reverb, even less open, so let's..High cut. Ok, let's play a bit of music. Let's take only the Parallel, see without. And now, compared to the previous one, the other parts of the vocal Let's jump between these two parts. Just a bit too loud so I grab both tracks, pull down 2dB, should be good. Great, we wanna jump between the whole rough and the new mix, just to have an idea of everything with the new change on the vocal, how it sounds. Let's do the same on the first part of the verse. Here the verse needs a dB or 2 more. Let's focus on the vocal, there's a ringing going on, there's like a lot of loose, cloudy part on the mid-range on the rough, let's check that difference. Let's do the same on the second verse. Cool, and we have a second part under the hook, this part. That's a bit thicker so I want to do a little bit of parallel compression and I think it's gonna work really well. Especially to thicken up the low-end, and just bring up we do some EQ and post-compression in parallel, I think it's gonna be really good. All the switches are down, makes a lot of noise that makes no sense. Let me solo just the Parallel. Essentially what I'm looking is extending and make even all the tail, the decay of each word, and just give like thickness, some low-end and blend this with the original vocal. Let's do the level between the two. The output is too loud, I'm clipping.. There's a lifting part going on, especially on the low-end. Really good. I think I lost a tiny bit on one element that I just realized now which is this pluck. Let's go back and check verse to into the hook. I feel the combination of the two it's pretty solid between the two. And then especially when is going back to the Fuse lead vocal, and then we have a little insert of vocals here. They're fine, we're gonna do a double check later as far as the overall vocal level and automation if needed. And now it's time to go on relationship with background vocal, especially on the first verse. Besides those "Hey" that I wanna take maybe off this Bus I do have an idea. I wanna make sure that those samples they're out to a separate Bus. This is now part of the background Bus so let's talk about this. I don't see a reason to separate on another Bus the background vocal when they're doing essentially the same thing, so what I'm going to do is to route the first background vocal to the same Bus as the main vocal. Then I am gonna take the "Hey" and keep it on a separate Bus. The reason why is because I wanna glue and blend the main vocal/lead vocal with the background vocal. So I wanna do a little bit of compression that includes everything so essentially when we have this combination of these parts I want to have a more solid, cohesive, put-together sound. I go to my main vocal Bus. And after doing my individual levels..
A tiny bit of compression. So for this I used two compressors, the CL 1B from Tube-Tech that I like, or the 33609. The Tube-Tech is tinily more transparent and for this purpose it's a great glue-type of compressor for vocal, I exaggerate a little bit with threshold to find the right attack and release, and ratio. I don't wanna have too much pumping so I'm looking like for a medium-slow release, medium-slow attack. Compressing 3dB gives back 3dB. There is a little bit of technical things to do on the background vocal. Yeah, no need on low-end I wanna control, and I wanna open the mid-range, that's the way to bring in some way the body of the background vocal up in the mix. So get rid of 270 down. This takes a lot of space. Let's blend with the lead vocal. Now the combination is getting a little bit too loud so I just need of lower my full vocal Bus, I love to do levels on vocals at really low-volume on my speakers and I like to use this small LS50 for that. I don't wanna get distracted/excited about big speakers or even the Focal that have a lot going on, I just wanna focus on small speakers for that. The vocal has the mid-range that I want. I wanna able to follow the lyrics at really low volume, and I wanna find the right balance now between vocal and the entire music, and I wanna move around the track for this part. Just to be organized, I'm gonna color the parts of the vocal that are working together with the same color, so now they're part of the same Bus, and the dark pink now it's a separate Bus. Their "Light It Up" is really low. We have another sample here I'm sure..
Great. I just wanna open a little bit the top..5k. Now let's listen, I am kind of detaching myself a little bit from the mix inside, and just listen better, and just have the overall feel of this track. Very good. And the second part is gonna repeat this, I just noticed one thing I wasn't sure, which is this snare. What I did, I gave a little bit of enhancement on the attack, to just cut through the mix a little bit better. And I wanna give a little bit of color, I just..
to blend a little bit more, so what I do is 50 50. One of the modules on the Alloy is the Exciter that's a combination between the tape, the tube, the warm and the retro, it just overall like taking it up a little bit. Great. It jumps around a little bit too much so I wanna limit this a bit. Fast Soft mode, very effective. Now enhancing these transients allow me to - without pushing too much the level - to have this snare cut through the mix. The mix is very dense, the track has a lot of dynamics now, so it's hard to have this type of sound to cut through the mix well, so let's check it out now. Very good. One red flag that I just noticed, we're clipping the low percussion, I don't like that. So we might gonna end up with pulling down a little bit the faders on the entire low percussion, and just pull up a little bit the Bus. Thanks God it's an easy fix. We grab all our individual parts, pull down 3dB or even 2dB for now, it might work. Needs a little bit more. Let's do another one, here you go. I just have a point with a lot of transients, I used just to be safe and that's happening really only when we have maybe 1dB over, 16 times. Essentially what I'm doing is I place the clipper, with a Ceiling on to 0dB, just I don't wanna have the over to do some internal nasty clipping so I trust more this kind of clip than the standard clipper. We talked about just the full clip but I'd rather have those and cut the top of the hill but just leave the sound intact that we have. Alright so, guys, let's play the drop one more time, before we dive into the second and final stage of the mastering side. Now the question is: what you're going to do on the mastering side? And the answer is beside making sure that the track is naturally louder but not over-compressed, not over-limited. Trick your ears in some way, make it very loud but don't let you feel that it's loud in a bad way, but at the same time I wanna enhance everything a little bit more. Now the first stage of mastering is essentially an additional EQ, a parallel compressor, a final EQ which is the BAX and kind of like shape the final part in the master, and a touch of limiting. Before I go into EQ, additional EQ, I like to set up my parallel compressor on the mastering side. Now the way I use this on the console, on the insert 4 I have the possibility to go straight insert on the bus, or parallel on the bus, which is essentially assign this to this parallel control where I am blending to 100% to 100% and I'm adding. The way I set up my compressor at the beginning is no parallel, find the right movement, the right groove, the right color, the right everything, and then go back on parallel mode and blend that in. Now on my patch-bay I set up 2 channels of the Rasma which is very unusual, as an EQ pre-compression insert 4 goes into two channels of the Rasma from the two channels of the Rasma I go into the compressor, the compressor back to insert 4, insert 4 I'm gonna use in parallel. So, first thing that I do is bypass the EQ, and find the right type of compression. So I'm using a VCA compressor and I try to be fast, I wanna also breathe a little bit with the groove, Let's do it. On purpose I exaggerate the compression, just to find the right groove that I want. I find RMS mode really fast, snappy, when I work on RMS the attack is is not working essentially, it's auto attack. Again, I am not on parallel right now, now I'm going on my EQ that is set pre-compression, and I'm gonna find what I really wanna compress. About 8dB of compression and again, gain staging gives 8dB back, and the I'm gonna parallel this. Essentially, when I go on parallel mode, there's no compression yet here, it's only activated, now I have to blend how much compression I'm going to do. The low-level information is coming up in the mid-range, I don't wanna overdo it, if I go 100% which is something ridiculous because there's no low-end, and I take the dry or 100% has to be even, so that's what I'm looking. Of course I'm starting to gain and push up levels so, I don't wanna clip my converter yet, so I pulled down a little but my output stage of this. Now, the insert before is a CharterOak that has..
essentially I don't like to use anything in the middle, and even the 5k, it's just not my sound, but the top and the extreme bottom are really magic, especially on tracks that you wanna at the end, give back again some sort of dynamics on the extreme low and extreme top. So listen this 50, it's kind of crazy what it does. Feels almost like there's a new hi-hat on the track. Now I wanna do this, I wanna do the two octaves, so the 60 and 120 or the 40 and 80s, let's see. I feel the 60s are totally under control, they need to do that, but I like the 120, just a little bit of bump on that. A touch of the 60 too. Let's move to the next. Number 5 is the BAX EQ. The BAX EQ is my final stage of EQing. It's the last step to make the decision. Most of the time for me is low-pass and hi-pass filters, it's pretty amazing, super smooth especially when I am kind exaggerating on purpose, to give like this big belly and big bump on the lows, it's always to control to me usually is the 24 and the 28 or the 18 and I do maybe a little bump on the 2k, so let's try. A lot of people are big fan of 84, 98 Hz I like to use the 230 or 300 because I feel it gives an overall space on the low that it's pretty amazing. So let's see what it does on 300. Maybe down to 200, 230. Let's see. So let's analyze what happens when we add the first stage of mastering. I feel like it's getting a more hi-fi sounding but retain the integrity of the song, I feel there are in some way I lost a little bit of like clinical mid-range that I can definitely do in here, because again, think of this EQ has 3 EQs, we used the Pultec side, we filtered a little bit, we have the EQ 2 completely free, Yeah, I feel like those 3k just helped to compensate what we did on the bottom and the top. Now we're clipping the converter a little bit, we don't care yet because we're not capturing this mix, but I wanna control the levels so a different way to do it for me. The best way is to use the PL2, which is a limiter, which is on insert 6 and then do two things: do gain post-limiter, so now the gain is being placed after the limiter, or place before the limiter and decide how much we're gonna actually limit it or clip, in conjunction with the input of the PL2. The PL2 has 1dB step, this has 0.5 dB step so I can only find the sweet spot, so let's try. My goal is to control the peaks, try to stay not going red, if I do a little bit of clipping because I want it fine, but I wanna be able to control it. Let's find the sweet spot on that. I wanna raise up to 0dB, make the limiter do its work as far as glueing the drums, the way it does is very natural. Let's check in two parts I'm interested, I wanna make sure that I'm not pushing up too much the vocal, with the limiter, and I wanna make sure that the relationship between the verse and the drop is there. Let's go to the drop. So I set up my ceiling that has about 3dB limiting but is very unique because it's kind of like.. not transparent, but has a tone, has a sound, doesn't feel when I do the same in-the-box, so it's kind of cool to be able to capture..we have a high RMS level, the crest factor is gonna be kind of low so I have like the average part really loud. The relationship of the final stage of the mastering side, or 'capturing the mix'..
whatever you wanna call it, it's the same concept, I'm going back to the box with the final result of the analog side, I'm just ready to record, let's do it. So we have a print, let's analyze a little bit what we have as far as RMS level or the ceiling. Usually about -9,-10, let's check. Between -10 and -8.5. When I say between is just because it's still a dynamic track so if we go in the loudest part of the track, let's analyze this part. I like to set it up in a way that I have my print channel and my master channel. I wanna have the freedom to go one step back, and just be able to do automation through the final mastering process. I'm gonna lower the level of limiting in-the-box, and that's the way for me to create and retain dynamics on the final stage of limiting. First thing I wanna do now I wanna do two stage of additional limiting, clipping to raise a little bit up, One clipper, which is the StandardClip, in a very transparent mode, and I use a very old multi-band compressor. So this is my first step. With the StandardClip I am going to work in oversampling, I did some tests, it's a big difference, big deal. I always wanna remember to put offline x16, when I gonna bounce offline I wanna make sure to retain the same oversampling that I chose. Initially I am not gonna put any ceiling, my initial approach is essentially finalize how much I wanna gain, and then pull it down instead of using the ceiling so, let's try. I am gonna do it really quick to have any difference on the sound. Then, second step, I used a Multi-band Linear Phase that has the a pretty amazing internal limiter, you'll be very surprised. And I always asked myself why..when I don't know 12, 13 years ago I guess, they did this limiter, they never really made clear about this function, I don't know, maybe they forgot to tell or they don't even know that they could do that. So what I'm looking is essentially to raise the level multi-band and then solo the band post limiting and compression, to make sure that I don't have any distortion on different areas of the mix. So initially I wanna match the level and look at the meter when I am gonna start to test of the RMS, ok? Once again, we're close to 0, we're not clipping, we raised 1.20 dB, we lowered 1.20 dB so we're still at 0, now we're close to clipping, we're not clipping. Now, the way this behaves on my master channel, if you look at the level now I'm gonna start to raise the level a lot and look what happens. Essentially it's not clipping, it just starts to compress a little bit, it's very transparent so I'm going -3/-4 without any problem, I'm not going to do it full-band, I wanna make sure how much I can push with the LinMB before adding a nasty distortion. I'm pretty clean on the bottom. So what I do multi-band, I create a little bit of compression on the part that I after clipping internally, it creates distortion, be able to monitor post I used the threshold to lower a little bit that band to go before nasty clipping, if it makes sense. Now, when I find the way to retain a clean sound on that area, I am gonna go close to clipping again, and use attack and release I am gonna maybe slow down the attack, and just make sure that I can maximize my RMS and retain the clean sound that I'm looking for. Let's see if I compensate a little bit on the output. Now my concern is the top-top. Let's see where we are right now. Now I take everything that I did so far. And with my master-gain I pulled down a dB. I pulled down 1dB so I was able to push even more. But then now that I have the safety zone between the bands and everything is under control, I know for sure if I pull 1dB down, now I have another dB that I can gain again with the final clipper. I am gonna essentially reach my point, which is -5 on this track, totally clean, I went to the loudest part of the track, and I wanna achieve using again, multiple tools to do that. In this case I used the same clipper that I used at the beginning, but I use this "Ratio 2:1" that is part of the new update feels it's between clipping and limiting and has almost like a hardening effect, that when you push it has like a bump. Now, if I did a good job with the multi-band to retain the borderline close to clipping part that is on the low-end, a little bit on the top, now I have even a more balanced waveform that I can push one step up. So essentially my goal to stay on -5 is gonna be achieved with multiple tools so I can totally do it with Linear Phase, a multi-band, yes I can, but I like the tone, the final tone of the StandardClip on ratio 2:1. I feel because I am gaining, as you can see, on the waveform a very flat waveform, I feel that this additional limiter it gives back some limiting, something in between that clip in the limiter that gives like a nice tone. Now my concern is I don't wanna clip in a wrong way in a different part of the track, the track is very dynamic, especially on the builds. So I have the luxury to have a print track which is empty, with no plugins, the only job that the track does is how much I feed into the master track. So if I could do automation, I am able to give less limiting and just have the track to breathe more, with the same peaks. I'm only reducing the RMS level, if it makes sense. Let's play one part and see how we're doing here. We're clipping this part, on the first plugin, and by default we're gonna do the same on the other plugins. What about if on the part that I wanna have the track to breathe a little bit more, and just be able to give a sense of dynamics, if I do an automation where I literally take the few dB that I give on the mastering stage I'll take it back, build a dynamic buildup. A little too much, it's fine.. I think. Think if pull down little by little to go down probably total 2dB, should be good. No more clipping on this part. Now we're gonna have a very loud drop. Now a little too exaggerated. But that's the concept. I wanna do the same, little less, we take about a dB from a before/after, I can apply the same concept on the verses, so now we have a dynamic verse that is breathing, is going a little bit back on the stage, they're not in the front fighting, but then when the drop hits, confetti (makes a sound), laser, strobo, everything is in your face, if it makes sense, so let's do that. And let's remember that we captured this track pretty loud already so we're not reducing much, we're reducing the digital portion post mastering side, and we're gonna do this to complete the song pretty much everywhere. -5dB RMS on the drops, and more breathing room on the other parts. I kind of like to have this part more in the front so just a tiny bit, 0.5 dB, and then we bring down, we bring up again on the drop. Alright, so that's my dynamic approach on mastering. What makes me unique is the fact that I mix and master in one round, one process. And from me the master is the final stage of the mix dynamically, EQ-wise, it's the last chance for me to reshape the mix, but retain some way the organic part of the mix, and as far as the way that I finalized my master has two stages: I master from the analog side, going in, and then do my final stage of in-the-box, if I need. I delivered the master in two versions: dynamic and loud. The dynamic to me is the version that has only the analog side of limiting and clipping, and then essentially no additional processing in-the-box. The loud version is pushing one step up, to deliver a louder version, adding internal plugins, and reach about an extra 4dB. So if I usually stay about -10/-9 RMS for the dynamic, I go to -5 for the loud version. And I do my best to keep it as clean as possible. Alright guys, we've been working a lot, lot of hours on this mix, I'm excited, master is done, let's play the final version. How would I go about using his mid range compression technique in ableton??? great video Luca i hear so much distortion in the mastering section i think the track is being destroying. what a pity!!!! Good stuff. Does anyone know what the size of his room is in this vid? What's the use of the "clipper" on the snare/clap sound at around 19 minutes into part 2. I see that the track is peaking in logic, but why not just lower the output, or track volume? 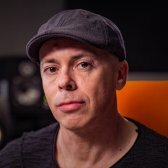 Excellent up until the mastering, there is no loudness war in streaming anymore, im certain if you would rms volume match with a mix that was -10 instead it would sound better not squashed to -5, everything except that was done in good taste and impeccable technique. Luca's mixing approach is really unique. To me this is one of the best tutorials on puremix. Please, do more content like this one - I mean modern music oriented. Thanks I've learned so much! Very professional . The end totally killed the song in my opinion since there was so much audible clipping.. still learned from it in order to compete with loudness but fortunately most platforms now fight the loudness. I wish there were more video by Luca Pretolesi - he's showing excellent techniques with ease, even needs to slow himself down cause he's doing it so fast. I lean so much from this series! Thanks Luca, that was amazing and your generosity of spirit is inspiring. I learned a lot from this video, maybe more than from any other video so far. Blessings. Hey guys, anyone know what kind of speakers Luca is using? Not my style of music. Watched it. Learned a lot. Thank you. Everything went fine until... ITB limiting and clipping. What a disaster. Sorry Luca but that was not engineering but destroying. Nobody cares about loudness anymore by the way. This song had better stay at the -8 RMS level, it was so much enjoyable than that final soupe; as other puremixers said too. Anyways the mixing part was really interesting and thanks a lot for having shared some of your thoughts, techniques and tricks! Simply amazing. The use of the Pro MB and Pro Q2 for thighting and putting the sound on the mid center was amazing. Thanks for your knowledge! Hi Luca, thanks for the awesome tutorial! I've learnt a lot, although I'm with the other guys and find the final result sound extremely distorted. V.
Awesome video except that the final mastered version did not sound like the finished product at all. Also, I think that Diplo and Major Lazer could be a little bit more generous and give full stems. There are not all tracks in this pack... Not everything is clear! anyone understand what he is doing with the mid-range compression on the hardware? is he basically doing multiband compression of the 300hz-10k? or is he parallel compressing that mid-range? From the pureMix Crew: Luca is demonstrating a how to achieve a super loud master which unfortunately is very popular in EDM. To get this extreme loudness level he's using a mixture of limiting and clipping which of course causes some audible distortion. Our audio capture for this video was a digital signal and an exact copy of what was being fed to his monitor path. Ottimo tutorial, uno stimolo e un approccio interessantissimo. Bravo Luca! Sounds really, really distorted in the last steps of limiting. Not clean at all!! some very good ideas ...nice way of mixing approach. * there is too much differences between youtube version and this one for sure YOUTUBE version is much better . So wonderful and punchy music. Thanks Luca. Why was it so distorted at the end? Something must have gone wrong during filming, or was it intentional? Either way, back to square 1: Mixing 101 - Clipping is bad. It's especially bad on this video. Thought it was a really well done video, extremely great job by Luca. With that said, that is some of the most distorted, unnatural, robotic music I have ever heard. Absolutely wonderful to see a master work his craft on modern EDM music. Would love to see more videos in this style in the near future, especially on a song in the 128 BPM range. Thank you, Luca! Awesome session! Amazing how it sounds in such a short time. Thanks Luca, for taking the time to share this wealth of knowledge! That's clean?! Or dynamic!? Yikes... The distortion on the raw tracks was noticeable enough, but after mastering, holy crunchfest batman! Interesting to see some people mix new music with analog gear!